MedData Group prides itself on the quality and depth of our healthcare databases. Our focus is squarely on the wide range of healthcare professionals on the front lines of providing patient care and the hospital professionals ensuring the quality of care and services in the hospital setting. 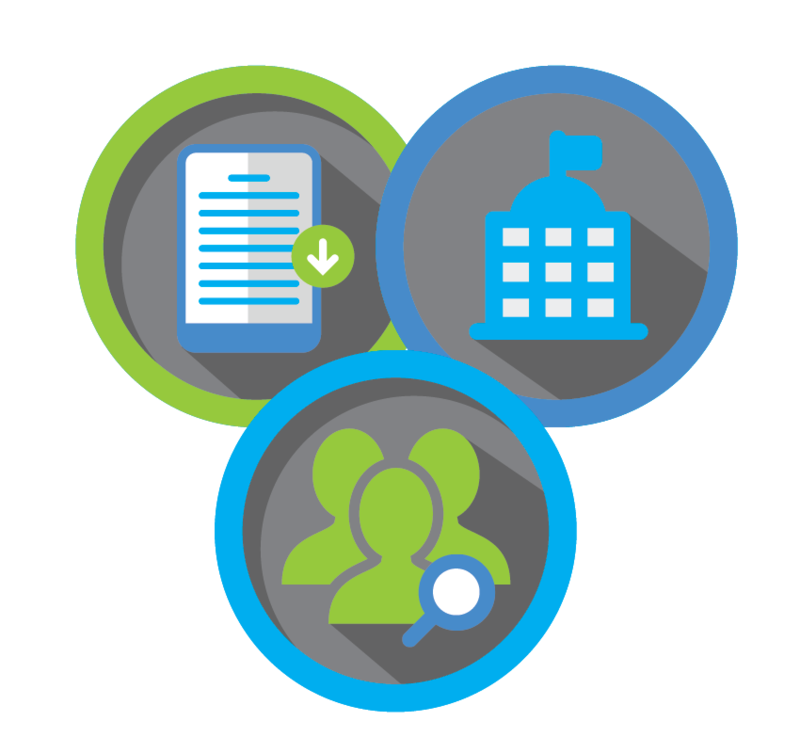 By maintaining our focus exclusively in the healthcare space, we are able to better understand the needs of our customers and deliver the specific data they need to fuel their multi-channel HCP marketing programs. Our healthcare databases span from practicing physicians in the US to mid-level clinicians, such as nurse practitioners and physician assistants, to all allied health professionals, pharmacists and hospital professionals in both administrative and information technology roles. We maintain extensive demographic, firmographic and clinical behavior including a two year comprehensive prescribing history as well as a six year history of diagnosis and procedures performed data. 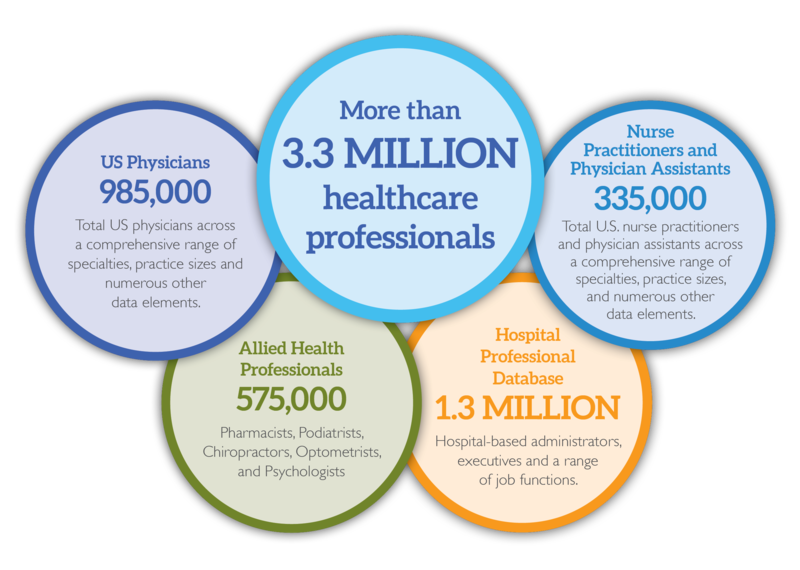 Each clinician record also associates dozens of profession-specific fields to inform both your data selection and marketing programs. Most professions in our database contain close to 100% of the practicing clinicians in the US and our fill rates on one or multiple emails typically exceed 70%. Our exclusive HCP Digital ID solution provides one of the largest universes of clinicians to enable NPI-level targeting to fuel your programmatic and social advertising campaigns on the web and mobile platforms. MedData Group has developed a highly sophisticated and multi-level data acquisition program to ensure that we can provide you with the largest and most accurate set of healthcare professional data to power your marketing programs. We have access to over 65 public and private data sources and leverage our own team of data researchers and data analysts, each providing pieces of important and valuable data. 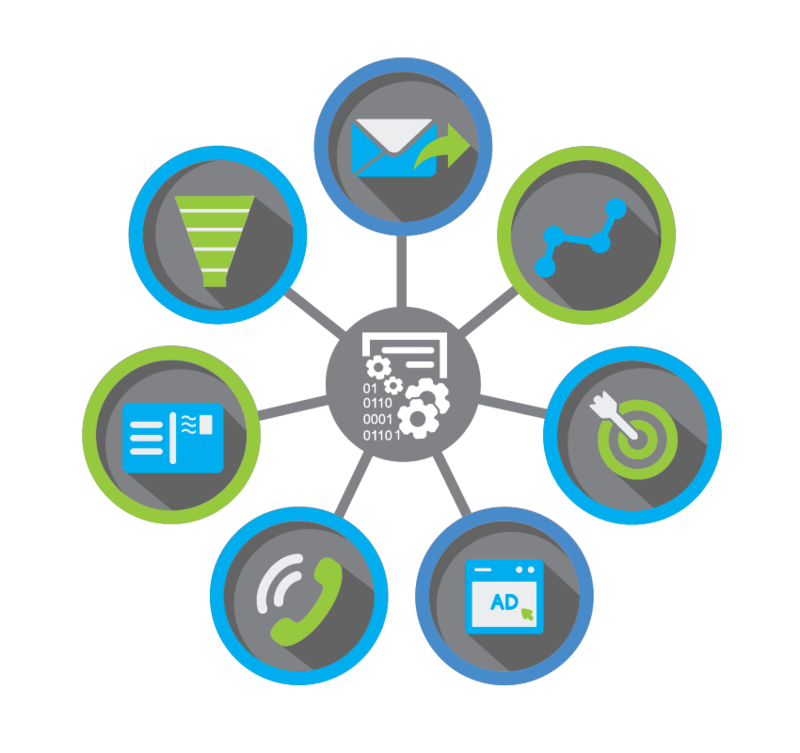 We use our proprietary processes to ingest, normalize and cleanse data that ultimately becomes the actionable information you need to fuel your HCP multi-channel marketing programs. We are also the largest user of our own healthcare database in providing performance-based, audience development, email marketing and tele-promotion programs for a range of healthcare publishers, device and technology vendors, CME companies and others. In doing so, we are able to constantly cleanse and update our database to ensure accurate and successful targeting for our customers. Why MedData Group? Data, quality and superior service. We go way beyond providing high quality HCP data at a cost-effective price. Our digital data experts and account managers provide the most superior support and customer service for all of our customers and data solutions. HCP digital marketing is complex and nuanced and we strive to provide the information, service and guidance you need to ensure your program success. We look at each customer relationship as a partnership and we will help you identify the right data, the right channel and right audience for your digital marketing.